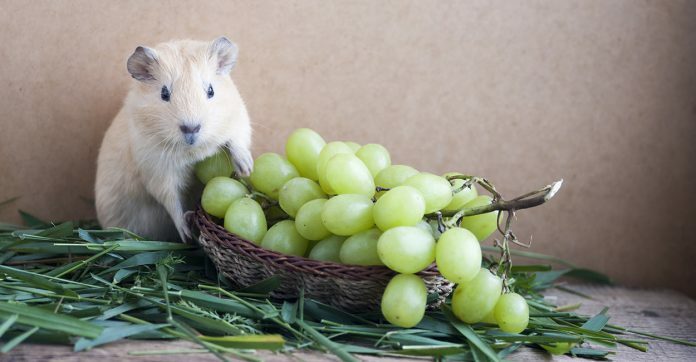 Can Guinea Pigs Eat Grapes Safely, And How Much Is Too Much? Home Uncategorized Can Guinea Pigs Eat Grapes? Is there anything cuter than watching a guinea pig nibble on a tiny slice of fruit? No! But can guinea pigs eat grapes safely? One of the best things about owning guinea pigs is feeding them fruits and veggies. Not only is it adorable, but fresh fruits and vegetables are an important part of your guinea pig’s diet. Plus, guinea pigs love these tasty treats. Trying to figure out which fruits and veggies are healthy for guinea pigs, however, is tricky. Grapes raise a lot of questions among cavy owners. If you have dogs or cats, then you are probably aware that grapes and raisins are toxic to these pets. But what about guinea pigs? Can guinea pigs have grapes? European grapes were first introduced to the U.S. by Spanish explorers about 300 years ago. There are over 8,000 varieties of grapes. Some are used to make wine, while others, known as table grapes, are grown for fresh eating and for making raisins. These berries come in a variety of colors, including red, green, yellow, pink, purple, and black, and there are even wild varieties of grapes native to the U.S. Most of us think about grapes in terms of color. You may have a preference for green grapes or red, and if you live in the U.S., you may also be familiar with the sweet Concord grape. This popular fruit is a favorite among kids and adults, and so it is no wonder we want to feed them to our guinea pigs. Can guinea pigs eat green grapes? Can guinea pigs eat red grapes? There is no difference between grape varieties when it comes to guinea pigs. The real question is, can you give guinea pigs grapes? There are fewer resources available on the internet for guinea pig owners than there are for owners of dogs and cats. This makes it hard to find scientifically-backed resources about guinea pig diets, but they are out there. 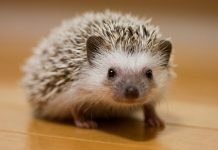 Guinea pigs can eat grapes in small quantities, and grapes do not appear to be as toxic to guinea pigs as they are to other pets. However, grapes do pose some risks that make them best reserved for a special cavy treat. The biggest risk associated with feeding grapes to guinea pigs is sugar. Grapes might seem small to you, but to a guinea pig they are the equivalent of an entire cantaloupe. Think of how you would feel after eating an entire cantaloupe. You might experience stomach upset, and if you ate an entire cantaloupe a day on a regular basis, you would quickly gain weight. Some veterinarians caution against feeding high sugar foods, like carrots, grapes, and bananas, to guinea pigs. They warn that foods that are high in sugar can lead to obesity, potentially shortening your guinea pig’s lifespan. Avoiding sugary treats like sugar-rich fruits and yogurt treats will keep your cavy trim and healthy, and there are plenty of fruit and vegetable alternatives. If your cavy loves grapes, there is still some hope. Other veterinarians suggest grapes can be a tasty treat in small quantities, and even an important part of your guinea pig’s balanced diet—as long as you feed them safely. 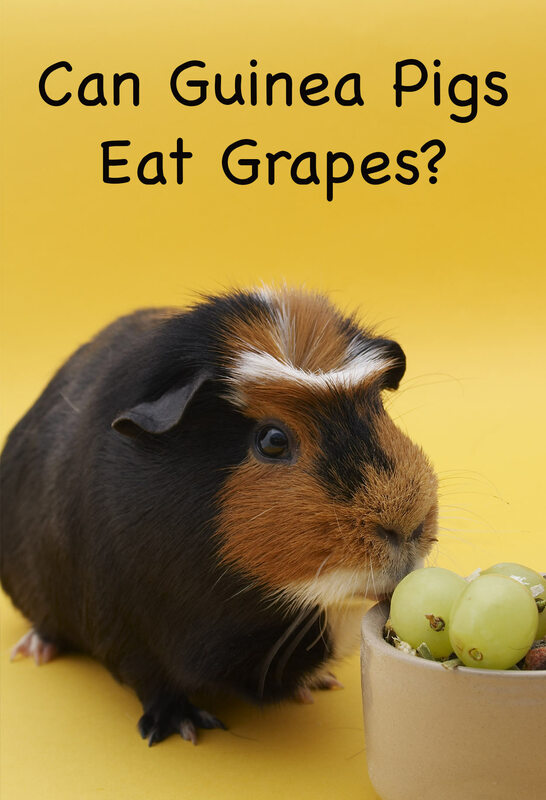 Grapes can be fed to guinea pigs safely. The trick is moderation. Your guinea pig does not need an entire grape. Instead, cut the grape up into thin slivers and divide it among your guinea pigs, giving each just a sliver or two. Only feed grape slivers to guinea pigs a few times a week. You can also reserve grapes for a reward or a special treat, and rotate grapes out with other fruits that are lower in sugar, like kiwi, blueberries, and apples. If you or a loved one has fed your guinea pig more grapes than recommended, and you are concerned, observe your guinea pig for signs of discomfort and make sure he has access to clean water. Have you ever wondered why guinea pigs need fresh fruits and vegetables in their diets? Like humans, guinea pigs cannot manufacture their own vitamin C. This can lead to a condition called scurvy. 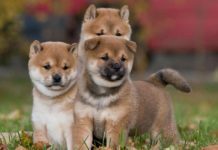 Scurvy is best known as a condition historically found among sailors who did not have access to fresh fruits and vegetables for extended periods of time, but this type of malnutrition can also occur among pets. Some veterinary hospitals diagnose over 50 cases of scurvy in guinea pigs a year. Luckily, scurvy is avoidable. All you have to do is make sure your guinea pig is getting enough vitamin C in her diet. Pelleted guinea pig diets do contain vitamin C.
However, the amount of vitamin C decreases over time, which means guinea pig food that has sat too long on a shelf does not have enough vitamin C in it to meet your cavy’s needs. The easiest way to make sure your guinea pig gets enough vitamin C in her diet is to provide plenty of fresh fruits and vegetables. Do grapes contain vitamin C? Grapes do contain vitamin C. These tasty, juicy fruits are a good source of vitamin C and vitamin K.
They are also high in sugar. Guinea pigs eat very small portions of food. This means that we need to carefully select the best foods to feed them. When selecting fruits, we must compare the sugar content to the vitamin C content. Take oranges, for example. A serving of grapes contains almost twice the amount of sugar as a serving of oranges. Since oranges contain about six times more vitamin C than grapes, this makes oranges a much better fruit choice for guinea pigs. Guinea pigs can eat grapes. Grapes contain vitamin C, which is vital for guinea pig health, and guinea pigs usually love this sweet, juicy treat. Grapes are also high in sugar. You can safely feed guinea pigs grapes by only offering a sliver of grape as a very occasional treat. For more information about cavy nutrition, contact a veterinarian with experience in exotic pets. College of Veterinary Medicine at Purdue University, Care of Guinea Pigs. Oglesbee, B. (2011). Vitamin C Deficiency (“Scurvy”) in Guinea Pigs. Blackwell’s Five-Minute Veterinary Consult: Small Mammal, Second Edition. 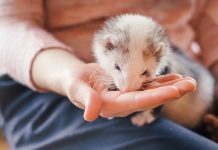 Adirondack Veterinary Service, Guinea Pigs as Pets. Avian and Exotic Animal Hospital, Guinea Pigs. Previous articleWhat Do Baby Rabbits Eat?